The Nevada Space Grant Consortium (NVSGC) seeks to develop a diverse and capable Nevada STEM workforce by providing funds for NASA-related faculty research and/or workforce development projects. Selected faculty projects will enhance Nevada’s research infrastructure and/or provide STEM workforce development opportunities for students in topic areas such as: unmanned aerial systems, aeronautics (including high altitude balloon projects), planetary geology, astrochemistry, astrophysics, astrobiology, biodiversity/biology, new satellite data systems, remote sensing, sustainability, agricultural science, climate change, hydrological impacts under a changing climate, and STEM education. These funds should not augment existing funded research projects. 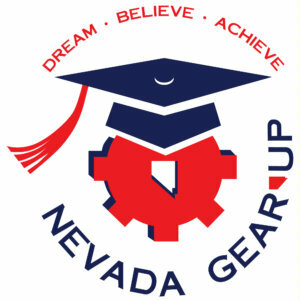 The Nevada Space Grant Consortium (NVSGC) announces available funding for 2019-2020 Informal Education (IE). NVSGC seeks to fund 1-2 projects with a maximum federal contribution of $22,000 each. Due to requirements of the Space Grant program, a 1:1 institutional match is required on all awarded funds. The total maximum funding amount with institutional match per proposal is $44,000 (maximum $22,000 federal + maximum $22,000 institutional match). The Nevada Space Grant Consortium (NVSGC) announces available funding for 2019-2020 Higher Education: Curriculum Development and Hands-On-Training (HE). NVSGC seeks to fund 2-3 projects with a maximum federal contribution of $25,000 each. Due to the requirements of the Space Grant program, a 1:1 institutional match is required on all awarded funds. The total maximum budget amount with match per proposal therefore is $50,000 (maximum $25,000 federal + maximum $25,000 institutional match). The number of awards and funding level are contingent on the availability of funds, which will not be known until June 2019. The Nevada Space Grant Consortium (NVSGC) announces available funding for the 2019-2020 Graduate Research Opportunity Fellowship. The Nevada NASA Space Grant Graduate Research Opportunity Fellowships program (GROF) is designed to support independently conceived NASA-related research projects by graduate students. NASA fellowship opportunities are focused on innovation through projects that will generate measurable results or advancements in Science, Technology, Engineering, and Math which will contribute to NASA’s current and future science and technology goals. 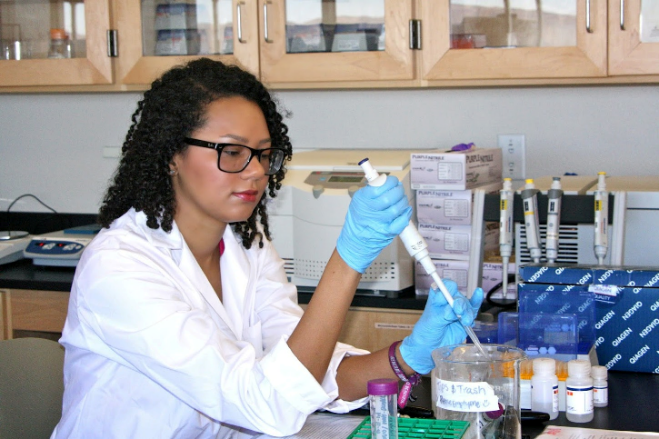 The Nevada NASA Space Grant Consortium (NVSGC) announces available funding for the 2019-2020 Undergraduate Scholarship Program. This opportunity is designed to support independently conceived research or hands-on-projects by NSHE undergraduate students in disciplines that will help advance the missions and goals of NASA. Scholarship projects should generate measurable results or advancements in Science, Technology, Engineering, or Mathematics (STEM) research that are relevant to NASA’s science and technology goals. Letters of Intent: Monday, October 1, 2018, 5:00 p.m. PT. Pre-Proposals: Monday, November 19, 2018, 5:00 p.m. PT. Nevada will be eligible to submit a new proposal to the National Science Foundation (NSF)’s Established Program to Stimulate Competitive Research (EPSCoR) Research Infrastructure Improvement Track-1 (RII Track-1) in July 2019. NSF limits EPSCoR-eligible states to a single RII Track-1 proposal submission. Therefore, the Nevada System of Higher Education (NSHE) hereby invites interested research teams to submit pre-proposals (which must be preceded by an LOI) for evaluation by an external panel of reviewers, assisting NSHE in identifying the pre-proposal most likely to result in an award under NSF’s 2019 competition. The proposed research program is the centerpiece of an RII Track-1 project. The focal point of an RII Track-1 proposal is hypothesis- and/or problem-driven research that requires a comprehensive and integrative approach to a grand challenge in a scientific area of regional or jurisdictional importance and relevance. The intellectual merit and broader impacts of the proposed activities are expected to provide the rationale for the requested infrastructure investments that, in turn, enhance the overall research capacity and competitiveness of the jurisdiction. Pre-proposal PIs must be affiliated with UNR, UNLV, or DRI. NSHE’s appointed NSF EPSCoR Project Director provides leadership and oversight for successful implementation of the NSF EPSCoR RII awards and has overall responsibility for NSF EPSCoR Programs in Nevada. 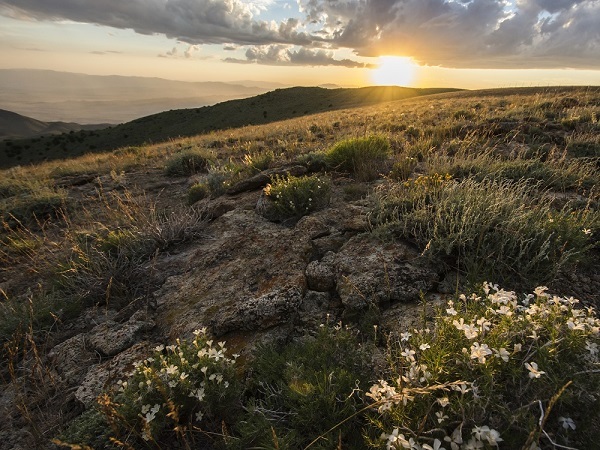 PIs and co-PIs identified in the pre-proposal will work as part of a team with the NSF EPSCoR Project Director and Nevada EPSCoR staff in the development of a full proposal and project implementation upon award. The award is expected to provide federal funding of $20M total over five years, with $15M dedicated to science, technology, engineering, and mathematics (STEM) research activities supported by NSF. The remaining $5M in federal funds along with a $4M in required state match will fund education, workforce development, communication, evaluation, sustainability, management and administration activities required by the RII Track-1 program. Please read the full SOLICITATION for all relevant details. Download PDF to view “paperclipped” attachments. A workshop about this solicitation will be held Tuesday, September 4, 2018, 11:00 a.m. – 1:00 p.m. at the Nevada System of Higher Education System Administration Offices in Reno and Las Vegas. A Blue Jeans link for remote viewing will be sent to all registered participants. Participation in this workshop is not mandatory for submission of an LOI and pre-proposal. Click here to register. To view the workshop slides, click here. To view a recording of this workshop, click here. An optional team building workshop is being organized by DRI, UNLV and UNR to facilitate team-building for the upcoming NSF EPSCoR RII Track-1 pre-proposal submission. Click here for more information. Interested in joining or starting a team? Connect with researchers from other institutions through posts on the Discussion Forum. STEP 1 – Submit Letter of Intent (LOI) online: Due Monday, October 1, 2018, 5:00 p.m. PT. CLICK HERE to submit LOI. To view the complete list of LOIs received, click here. STEP 2 – Submit Pre-Proposal online: Due Monday, November 19, 2018, 5:00 p.m. PT. Click NEXT below to fill out the cover page and upload and submit your pre-proposal. If you are having difficulty with any of the online forms or submitting documents as part of this solicitation, please contact Mayara Cueto-Diaz, mcueto-diaz@nshe.nevada.edu, 702-522-7083. *Download RFP document to see attachments. The Nevada Space Grant Consortium (NVSGC) seeks to develop a diverse and capable Nevada STEM workforce by providing funds for NASA-related faculty research and/or workforce development projects. Selected faculty projects will enhance Nevada’s research infrastructure and/or provide authentic “hands-on” research opportunities for students in topic areas such as: unmanned aerial systems, aeronautics (including high altitude balloon projects), planetary geology, astrochemistry, astrophysics, astrobiology, biodiversity/biology, new satellite data systems, remote sensing, sustainability, agricultural science, climate change, hydrological impacts under a changing climate, and STEM education. These funds should not augment existing funded research projects.